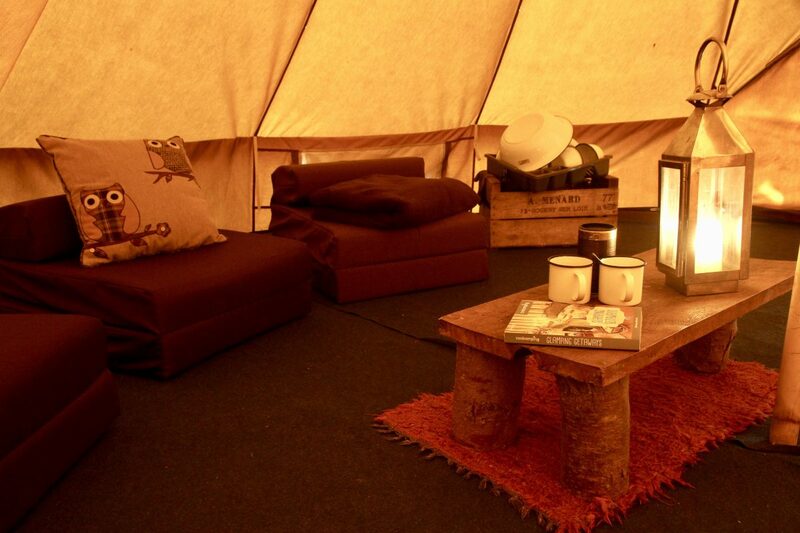 Your East Sussex glamping holiday is made easy when you stay in one of our spacious bell tents. Everything is set up for you and your camping kit is supplied. 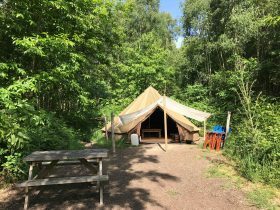 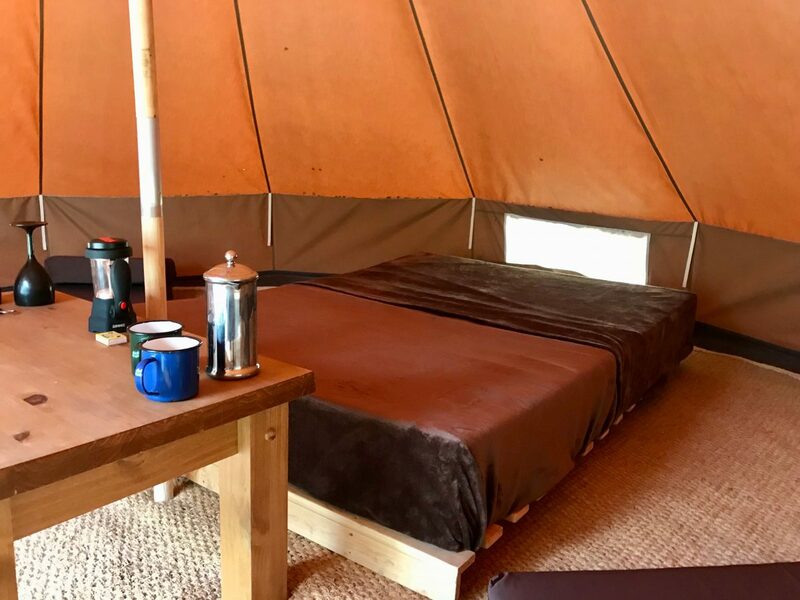 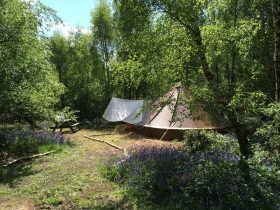 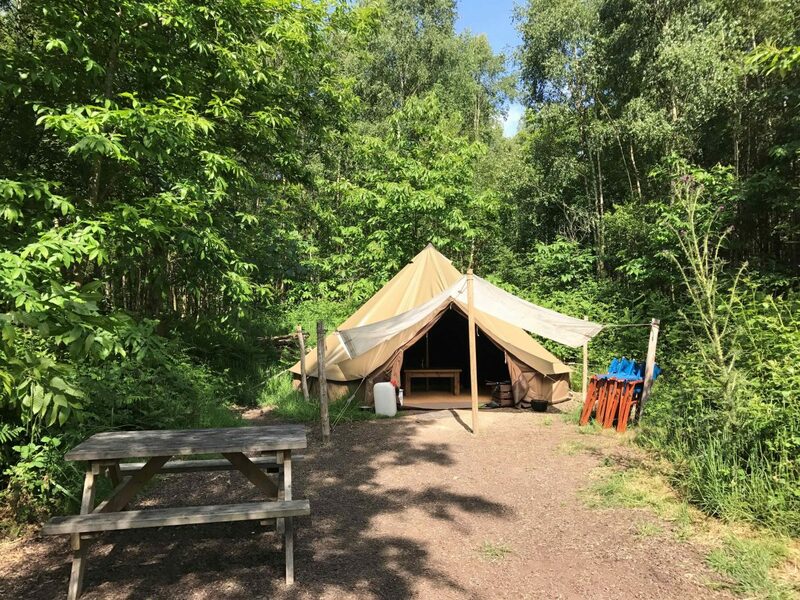 Our ‘wild glamping’ option means a stay in one of our spacious pre-erected bell tents, with beds and cooking equipment provided. 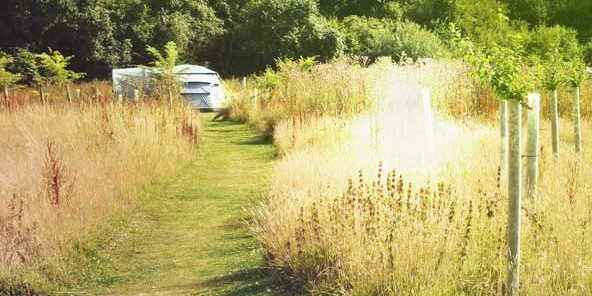 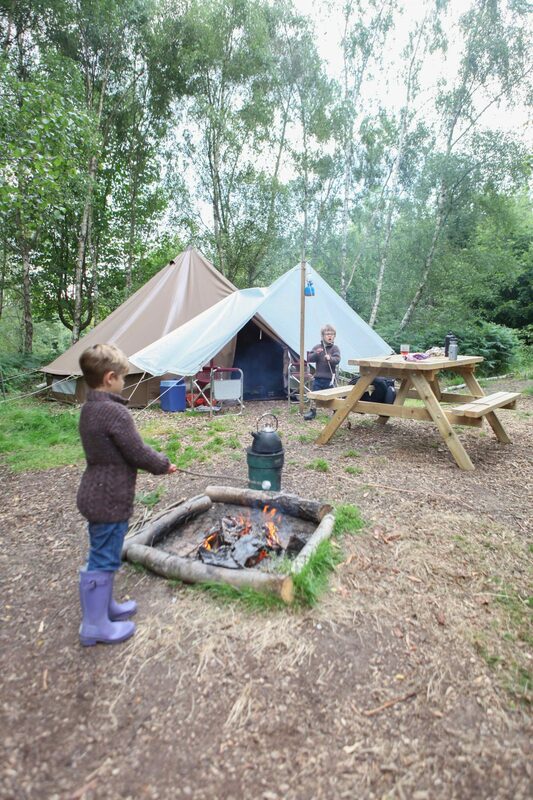 The East Sussex glamping option is perfect for families or couples. 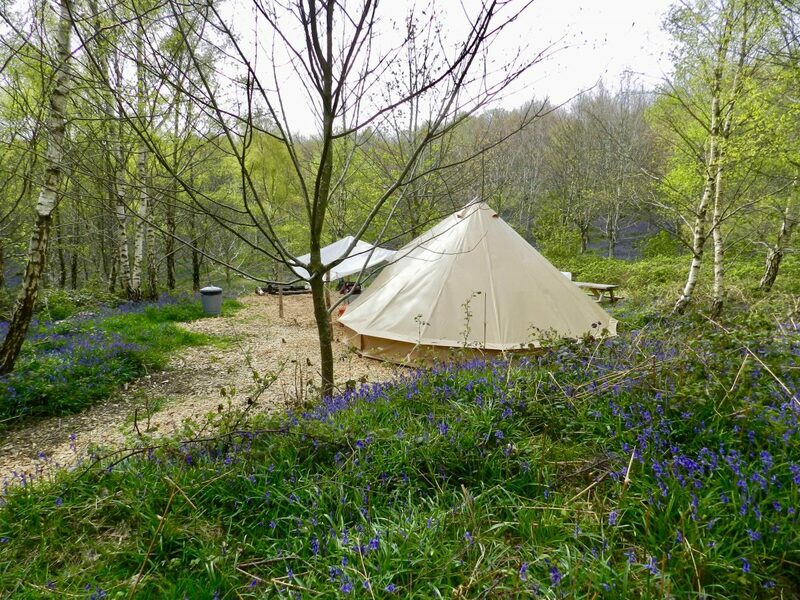 Two or three families can hire bell tents in the same area – or we are able to place extra bell tents up in this area to cater for up to six families. 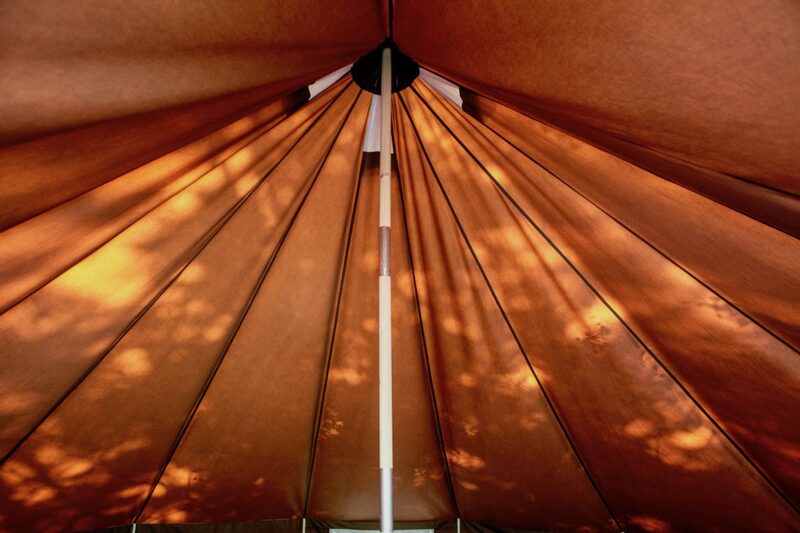 There are eight fully-furnished bell tents in total spread over our campsite. 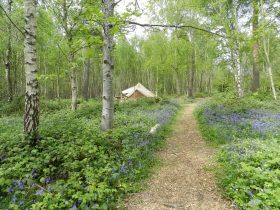 We have more secluded bell tents, which can be requested when booking, although are subject to availability. 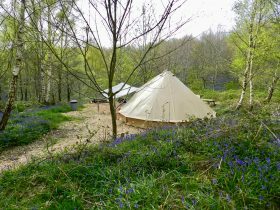 We also have some bell tents located adjacent to pitches and a couple of the bell tents have room for friends to pitch right alongside. 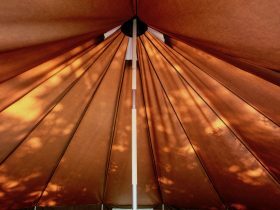 A large five metre bell tent, 2.9 metres in height with front annex. 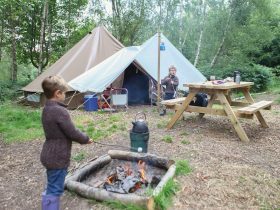 Each bell tent has its own campfire, allocation of firewood, BBQ grill and utensils. 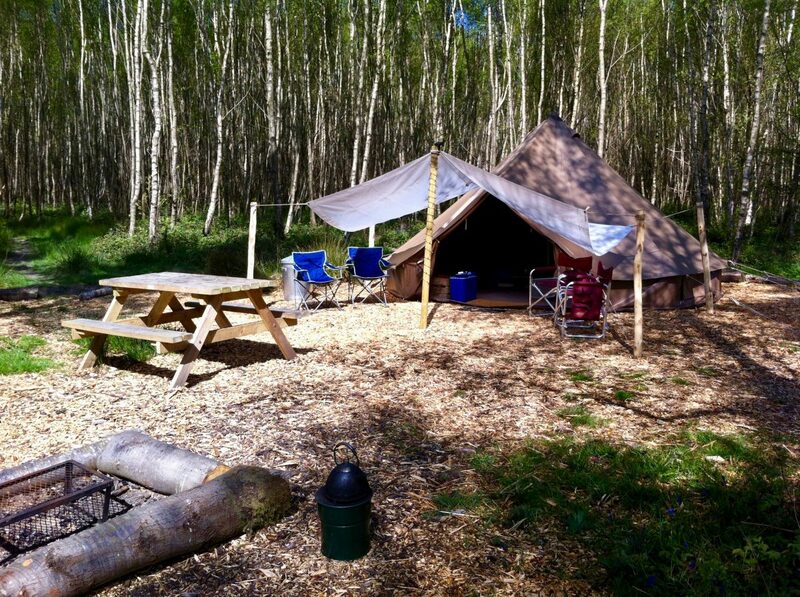 Picnic table and directors chairs, 25-litre drinking water container. Comfortable double bed and additional single adult and children beds as required. 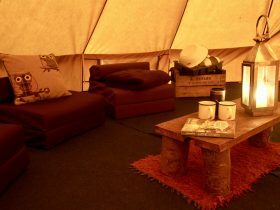 Floor covering, wind-up lantern, kitchenware, kettle, tableware and cooking equipment.